“Gardening for butterflies and other pollinators was one of the most common responses In a survey Growing a Greener World sent out to our email subscribers, as one of their most important gardening goals in the upcoming year. Many responded that they planned on creating a butterfly or pollinator garden soon and would like more information on how to attract and protect them. Additionally, many people wanted to know more about how to attract and raise monarchs specifically. 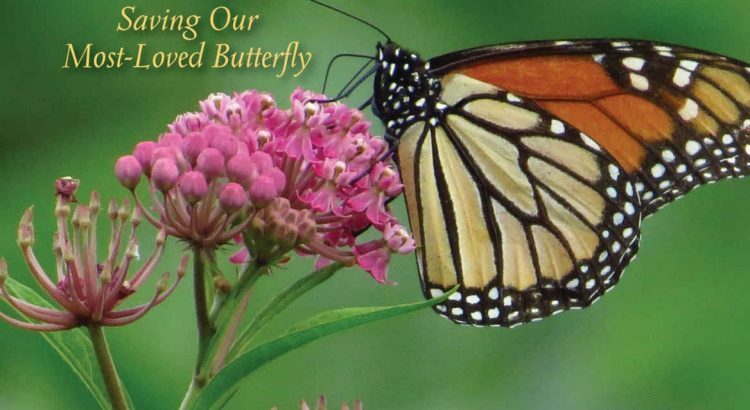 The image on the homepage of our website for this episode shows one of the most-loved and most threatened butterflies – the monarch. The image also shows one of the most problematic plants that butterflies are attracted to (along with many other pollinators). It’s buddleia, or commonly known as butterfly bush. While it is indeed beautiful and commonly found in many home landscapes, it is now considered highly invasive in many parts of the country. “Every fall, spectacular orange and black clouds of monarch butterflies fill the skies as they migrate from across North America to Central Mexico. West Coast populations make a similar though much shorter trip to coastal California. The National Wildlife Federation calls the monarch migration “one of the greatest natural phenomena in the insect world.” Not long ago, monarchs numbered in the billions, but in the last 20 years their population has dropped by 90%, due to habitat loss from pesticides, modern farming practices, urban development and other human activity. An estimated one million acres of habitat are lost each year.